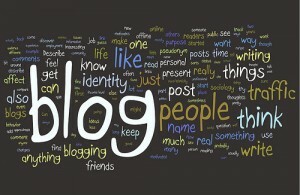 What is blogging and why is it important for your website. You may have heard of the term “Blogging” before. Quite simply, blogging is the writing of short articles about the things that you know alot about. It could be a hobby or for business. It can be about anything and the topics can vary. What you are reading now is a blog article. Blogging is important because of several reasons. Blogging lets your customers or followers keep up to date with the current trends in your industry or the services your provide. Gives you credibility for visitors to your website. Blog writing keeps you (the author) conscious of the things you are telling people about, thus strengthening your own mindset and belief in your product and service. The most important of those points is the SEO or Search Engine Optimisation factor. Think of your body. You are made up of bones and skin and organs and many other parts. One of the most important part is blood flow. If your blood flow was to stop, you would stop, right? Well a website is similar. If you have a website that just sits there and does not update or provide quality information on a regular basis, then search engines like Google will certainly crawl your website to try and find new content, but if it does not find new content how can search engines refer people who are searching for your product or service. Search Engines are becoming smarter and can now read websites like humans can. So simply put, If your website is not showing quality updated information, you will not be rewarded with top positions in search engines. That is why Blogging is important and remember that it does not have to be a big process. You can set aside 30 mins a day or even a week to write a new blog on your website. Keep it short, no less than 250 words or more than 500 words. Also keep the content easy to read and relevant to your topic. Keep the content unique and Do not copy text from any other website as this will damage your website reputation with search engines. Write from a place of your own knowing. If you would like assistance with writing a Blog or putting one together for your website, please call Paul on 0405 614 155 or contact us.